Lenovo is also not far behind when it comes to putting out some beasts in competition to other heavyweights. And continuing this streak, it unveiled its new flagship model, Lenovo Z5 Pro GT, on Tuesday, in China. The biggest highlight of the newly announced phone is that it will be the first phone, in the world, to come up with a 12GB of massive, huge RAM! Yes, you read it correctly. Not only this, but it will also be the first smartphone in the world to possess the upcoming highest flagship chip from Qualcomm, the Snapdragon 855 SoC, based on 7nm architecture. The phone will be running on latest Android Pie 9.0 operating system, skinned with Lenovo’s own ZUI 10.0 theme. The Z5 Pro GT will go on sale in China from January 24th, 2019. Talking of the phone itself then the Z5 Pro GT comes with a big 6.39inch Full HD+ Super AMOLED display, with an aspect ratio of 19.5:9 and a screen resolution of 1080x2340p. The protection is of Corning Gorilla Glass. But the selling point of this premium Lenovo phone is the Snapdragon 855 chipset which was just announced earlier this month by Qualcomm. But Lenovo became the first one to truly come out with a phone actually running on that ultrafast chip in the world. For keeping the performance levels top notch and without any halts, no matter what, the flagship processor combines with a huge and unprecedented 12GB of RAM, which is insane, seriously. Apart from it, the Z5 Pro GT will also be coming in variants of 6GB of RAM and 8GB of RAM. For photography, the Z5 Pro GT has a dual-rear camera setup, with one being a 16MP SONY IMX519 sensor (with f/1.8) and other being a 24MP SONY IMX576 sensor (with f/1.8). There is also a dual-tone LED flash on the rear. On the front too, there are dual cameras for taking even better pictures. There is a 16MP sensor (with f/2.2), and an 8MP IR sensor also for unlocking the phone via ‘Face Unlock’ in very dark conditions also. For those who don’t know yet, the Lenovo Z5 Pro GT also has the now trending ‘sliding camera functionality’ which makes it an almost clear, all-screen phone from the front. So if you want to use front cameras, you can just use the slider that has about six parallel slides, double-helical structure, and AI enabled smart antennas. The antennas are touted to intelligently detect the position of the user’s hand grip to dynamically adjust the signal. For storage purposes, the phone has massive capacity options of 128GB, 256GB, and 512GB. While the connectivity includes Bluetooth v5.0, GPS/A-GPS, 4G LTE, dual-SIM (Nano), Wi-Fi, NFC, and also USB Type-C. The phone also comes with nearly all the necessary sensors, like ambient light sensor, hall sensor, proximity sensor, e-compass, gravity sensor, gyroscope, and of course the fingerprint sensor under the display itself! For ensuring a good and durable performance throughout a day, the phone also has a decent 3,350mAh of a battery. Now ultimately coming to the price tag of this brilliant beast from Lenovo. Well firstly, it will only be coming in China, and that too next year towards the end of the first month. 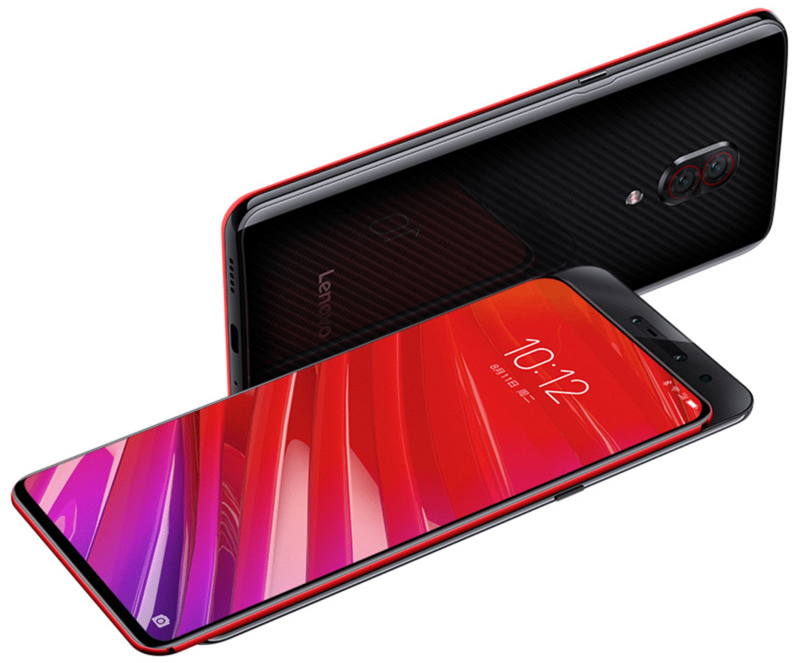 In China, the Lenovo Z5 Pro GT with 6GB of RAM and 128GB storage will be sold for CNY 2,698 (translating to about Rs.27,700), the 8GB/128GB model will be available for CNY 2,998 (translating to about Rs.30,800), the 8GB/256GB model will be sold for CNY 3,398 (translating to about Rs.41,100) and lastly the 12GB/512GB variant will be available for CNY 4,398 (translating to about Rs.45,100). All these four variants of the Z5 Pro GT will be available to pre-order from January 15th, 2019, in China, while the sale of the phone will begin from January 24 onwards. The phone will be available in a Carbon Black colour option with carbon fibre finishing on the top. There’s no chance however of it arriving in India lately since Lenovo hasn’t announced anything regarding that yet. But it’s a great phone and considering the prices in China, it will really turn out to be a great competitor to any premium and expensive phone currently being available in the Indian market, like OnePlus 6T, Samsung Galaxy Note 9, Apple iPhone XS Max/XS and Google Pixel 3/3XL. The Lenovo Z5 Pro GT deserves to be in India considering the fact that it will just knockout the very-very costly flagships out-of-the-park by its own very aggressive pricing.